Will Fuller: Fantasy’s Highest-Upside No. 2 WR? With the NFL Draft and free agency having come and gone, we’ll break down all sorts of fantasy-relevant questions entering the 2018 season. Up next is a look at the Houston Texans’ second-most famous (but definitely fastest) wide receiver. The Texans boasted one of the most explosive offenses the league has ever seen for roughly 240 minutes in 2017. They averaged an obscene 40.5 points per game with quarterback Deshaun Watson and wide receivers DeAndre Hopkins and Will Fuller fully healthy. While the Titans, Chiefs and Browns defenses weren’t exactly the class of the league, the Texans’ 38 points against the Legion of Boom marked the most points any team had scored in Seattle since November 2015. Watson and Nuk deservedly emerged as the stars of the offense, but the team’s No. 2 receiver also raises the ceiling of everyone he takes the field with. Fuller was the second receiver off the board in the 2016 draft thanks in large part to one attribute: His straight-line speed. His 4.32-second 40-yard dash is tied for the eighth-fastest mark among all wide receivers to attend the NFL combine since 2006. With his ability to take the lid off defenses and Watson’s deep-minded/fantasy-friendly nature, Fuller and his quarterback formed one of the league’s most lethal combinations in 2017. In his career, Fuller has scored seven touchdowns in four games with Watson, and two in 20 games with anyone else under center, although it’s worth remembering we’re just one season removed from Hopkins finishing a 16-game season as the league’s WR26 in fantasy scoring thanks to the Brock Osweiler experience. The league’s elite receivers can attract double coverage on a down-to-down basis because of their ability to catch the football or get open. Fuller isn’t one of those receivers, but his next-level speed makes it imperative for the defense to shade a safety in his direction. Fuller’s presence on the field is a boon to the passing attack, including Hopkins. Nuk has managed to score more fantasy points with Fuller on the field despite seeing 2.4 fewer targets per game. Fuller’s field-stretching ability also helped elevate Watson last year. The sample with Watson and Fuller is small, but it coincides with one of the best offenses in recent memory, and it makes sense that a player with Fuller’s skill set would be integral to an explosive scheme. The Texans offense was anemic last year without Watson’s game-breaking ability under center. 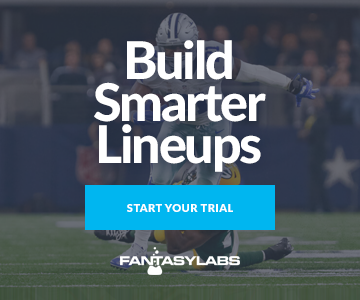 Hopkins has still managed to perform exceptionally with an abundance of below-average quarterbacks, but Fuller and Lamar Miller (fantasy’s cheapest featured back) have each struggled to maintain fantasy relevance in disadvantageous situations. Fuller’s decline has been the steepest without Watson, which makes sense: Watson posted a league-high average target depth of 11.5 yards, and Fuller ranked fifth with a 16.8-yard average. Tom Savage ranked sixth in average target depth, but he wasn’t nearly as accurate. Six of Fuller’s 10 deep-ball targets from Watson were catchable compared to zero of his four such targets the rest of the season (Pro Football Focus). Fuller’s average draft position at the time of this writing pits him as the PPR WR31 and standard WR26. His big-play nature makes him a particularly intriguing value in best-ball formats. Regression is obviously coming, but how could it not? Fuller’s four-game sample with Watson extrapolated to an entire season yield’s a preposterous 52-1,116-28 line. Fuller won’t keep up that touchdown pace, but there should still be plenty of scores to go around in the Texans offense, as long as everyone stays healthy. 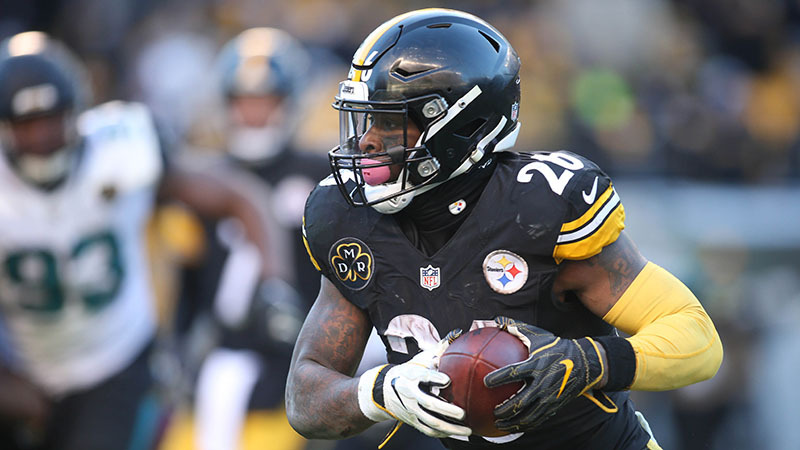 2018 NFL Combine Day 1 Review: Saquon Burns the 40 2018 NFL Free Agency: Taking Stock of the League’s New-Look Receiving Groups Will Johnny Manziel Play in the NFL in 2018? T.Y. Hilton: Can He Rebound If Andrew Luck Remains Out?